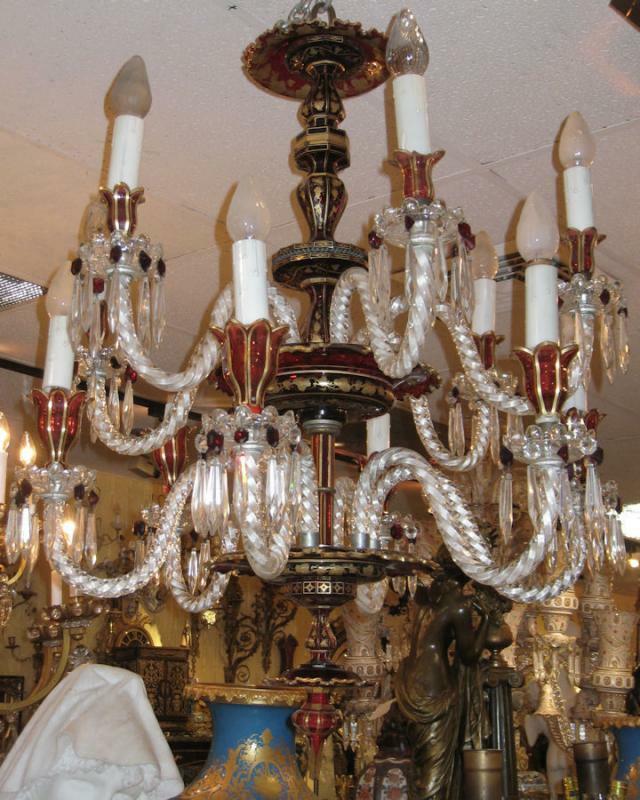 This antique Bohemian glass chandelier features a total of twelve candle arms on two levels. 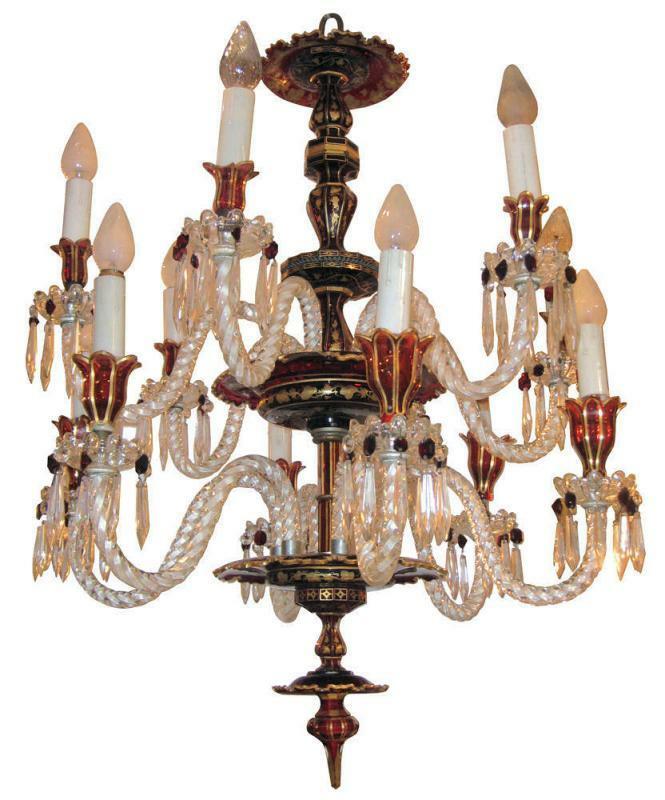 It has modern wiring and lamp size (not candelabra size) sockets and is ready for installation. 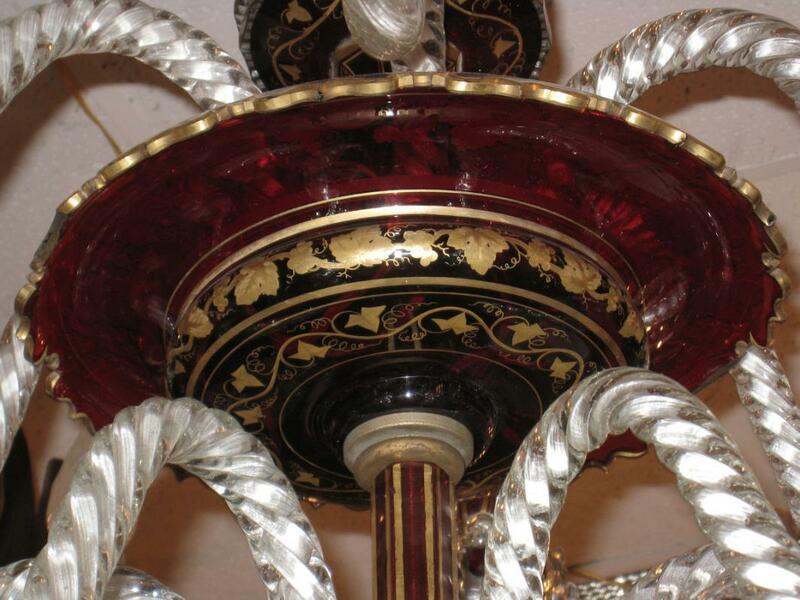 It features gilded decoration including geometric patterns and organic grapevine motifs. 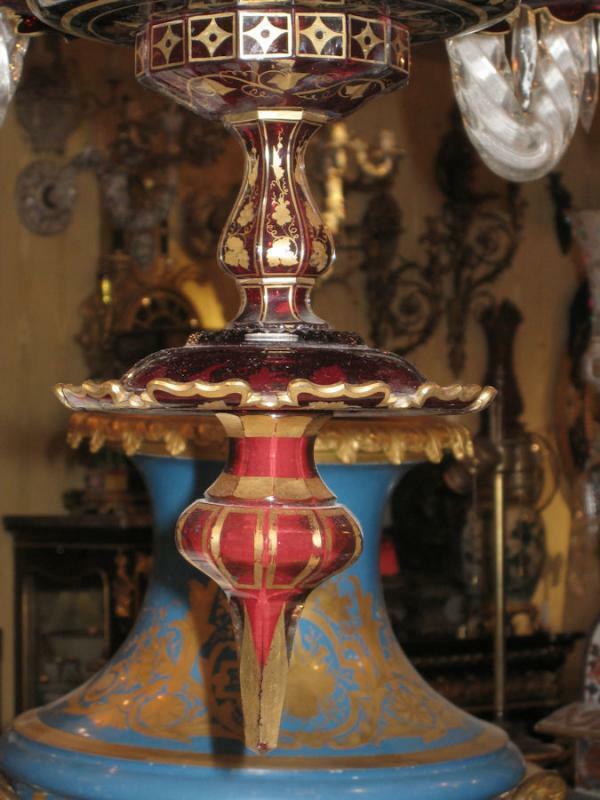 Dimensions: 38" H X 32" Dia (96.5cm H X 81.3cm Dia). 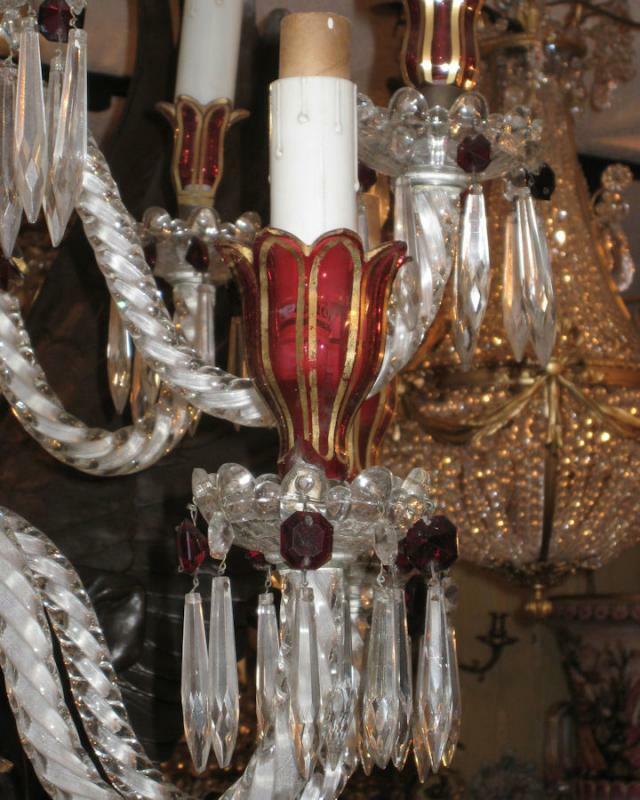 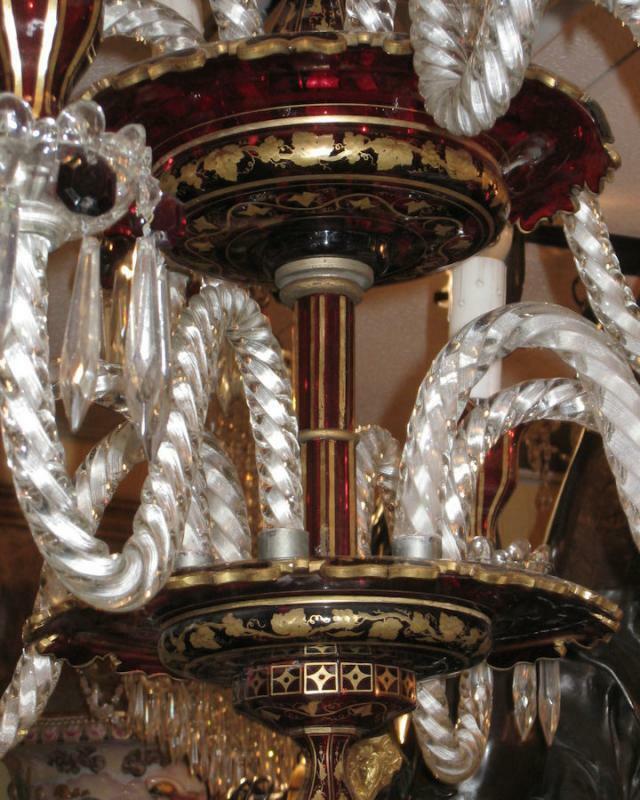 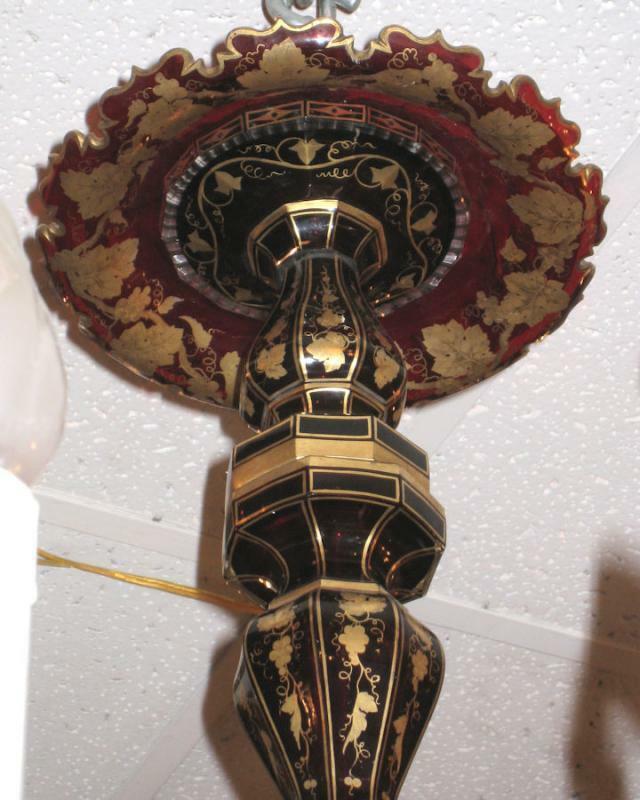 Items Similar To "Antique Bohemian Gilded Ruby Red Glass Chandelier"